PRAGUE -- Hyundai Motor Co.'s Czech car plant in Nosovice began construction on a second unit that will manufacture transmission units, a spokesman said. The new facility, to be finished next year, is part of the factory's plan to boost annual capacity to 300,000 cars from 200,000, spokesman Petr Vanek said by phone Wednesday. The carmaker will invest 3.5 billion koruna ($212 million) to boost capacity at its Nosovice plant, located east of Prague. Hyundai's Czech unit supplies cars to markets in Germany, the U.K., Russia and Israel. About 4 percent of its total production is shipped to showrooms in the Czech Republic. 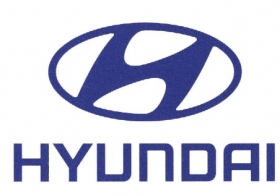 Hyundai's Czech unit plans to hire 650 workers this year and add another 250 next year, according to Vanek. It should start a third production shift in the autumn, he said.